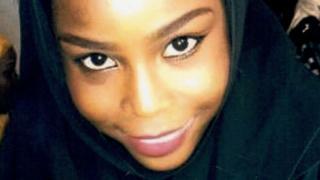 Image caption Hauwa Liman's colleagues say she was "truly dedicated to her work helping vulnerable women"
Iswap, which is believed to receive instructions from IS leadership, has raised its profile this year and was behind the kidnapping of 110 schoolgirls from the town of Dapchi in February. Over the last three-and-a-half years, most areas under the militants' control have been recaptured, though the two factions have continued to carry out attacks. Joins the Islamic State group in 2015, calling itself IS's "West African province"
The military has retaken most territory over last three years. Both the UK and US are giving military support - and the government hopes to start taking delivery of 12 Super Tucano A-29 aircraft from the US next year, he says.